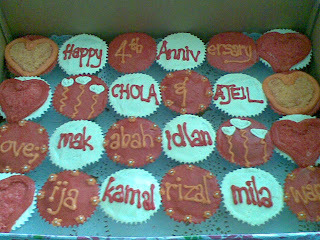 Teacher's Day celebration at CECE Cyberjaya. 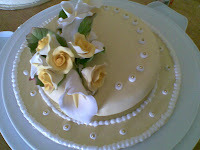 The mommie said.."no cream or icing please..." She said the kids will get themselves all messy. 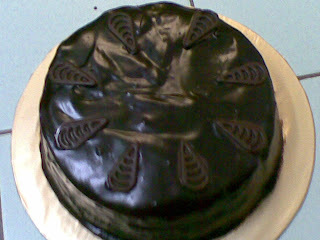 hehehehe.....so here's PLAIN CHOC MOIST CHOC...no chocolate topping or chocolate filling. 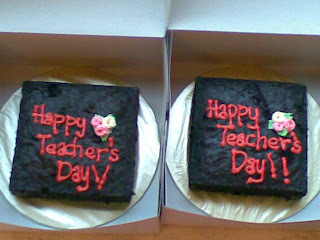 Happy Teacher's Day to all teachers! Without you..there would be no US. You painted the canvas with colours...you gave us knowledge and experience. You tolerated us...encouraged us and motivated us...you guided us...THANK YOU. For all the teachers out there...you have some guts to be teachers!! :D Not everyone can be as patient as you are! Personally...I've always looked up to teachers...some of my friends are school teachers...and the challenges they have to face now...UNBELIEVABLE!! Hats off to teachers! 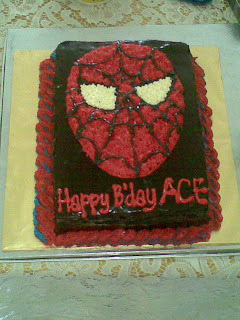 To CECE MMU, thank you for settting the foundation for Adlan. 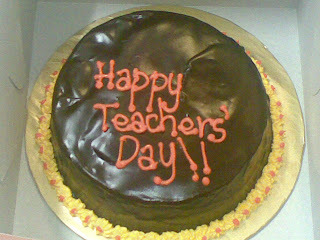 To teachers in Sekolah Rendah Kebangsaan Cyberjaya...thank you for your guidance..and thank you for being patient in teaching Adlan and the other kids in 1J. 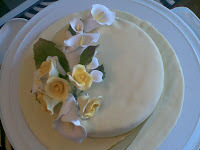 This is an addition...thanks to Elly from FMD for ordering the Choc Banana Walnut. The new price will be applicable for orders from 1 June 2008 onwards. The price for May 2008 will remain the same. Do look out for our new price list. 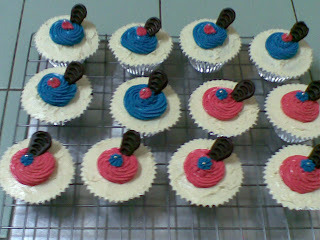 These cakes were ordered my Chocolate Lovers! 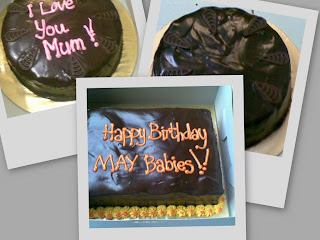 Mother's Day Cake...Birthday cake ordered by the staff from the AIDS Foundation... and the simple Moist Choc.. He wanted a HOTWHEELS cake...so there you go dear...we even had several HOTWHEELS banners on the walls. Look at the grin on his face...:P. He's guarding his cake from 'lil hands..hehehe...just a few secs before this photo was taken...his adorable 'lil cousin was so attracted to the bright colours that he poked his 'lil fingers in the cake... and everyone's reaction..."aaaaaaa!!!! "....and the 'lil boy's reaction.."WAAAAAAAAAAAA!!!!!!!" Hahahaha...hillarious! 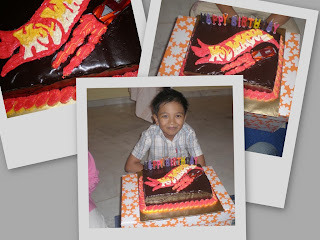 HAPPY 7th BIRTHDAY DEAR ADLAN....We love you very much!!! Howdy! I've been been so busy baking and baking and baking for you guys that I totally forgot about the Mother's Day Promo!! :(( Huhuhuhu...I have to wait for next year then. But HEY!! Everyday is Mother's Day!! 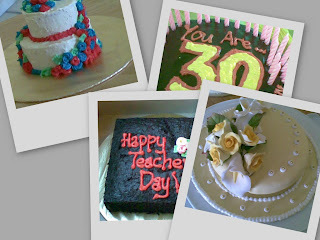 :) We should appreciate our Mommies every single day..:D hehehe...now I feel better. 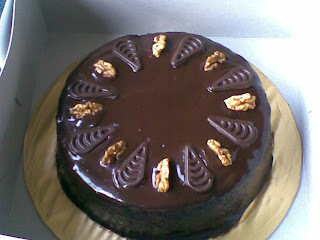 This 1kg Moist Choc was ordered by K.Sal from AIA. Thank you so much for your support! 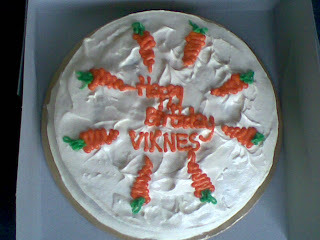 She also ordered the 1kg Carrot Cake. 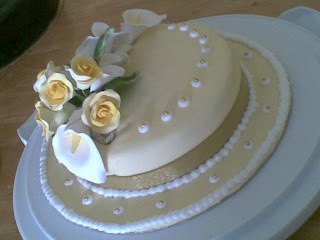 This cake was ordered by Ms. Jenitta from Klang. 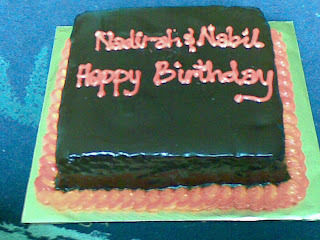 This 2kg Moist Choc was ordered by Marinah for her kids' birthday at the kindergarten. 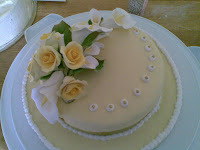 Made the cake this morning...sorry for the blur pic...snapped it early this morning. 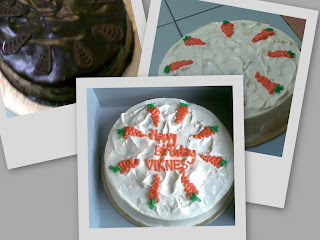 Thanks for ordering Marinah!